In the sleepy college town of Copper Bluff, South Dakota, English professor Emmeline Prather is enjoying the start of a new semester. But when one of her students dies working on the fall musical, it disrupts life on the small, quiet campus. Although the police rule the death accidental, Prof. Prather has good reason to suspect foul play. Unmasking the murderer proves much more challenging than finding dangling participles, so Em recruits fellow English professor Lenny Jenkins for assistance. Together, they comb the campus and vicinity for clues, risking their reputations and possibly their jobs. After an intruder breaks into Em's house, Lenny advises caution-and perhaps a change of address. Em, on the other hand, is all the more determined to forge ahead, convinced they're on the brink of an important breakthrough. 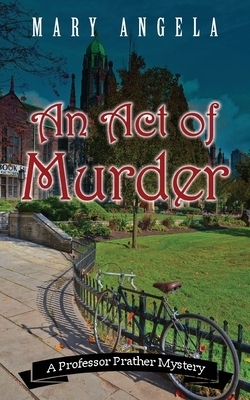 Book 1 in the Professor Prather Mystery series.